Cannabis suppresses the immune system, making it great medicine for many conditions. That’s just not what you want to do when you’re trying to activate immune cells against cancer during immunotherapy treatment. 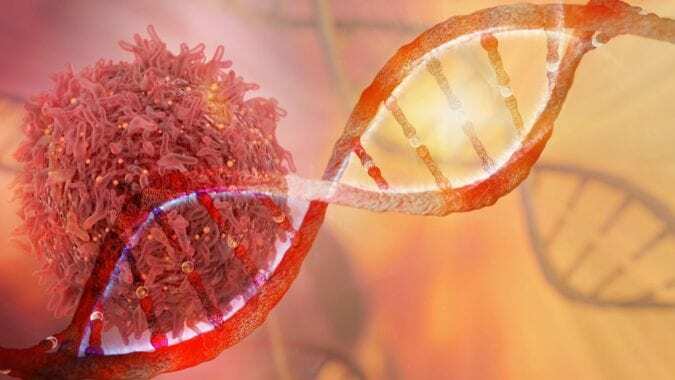 Treatment of cancer patients with immunotherapy is a common clinical practice that attempts to recruit the patient’s immune system to attack cancer cells. A retrospective study was recently presented at the European Society for Medical Oncology conference that provided evidence that immunotherapy patients should not use cannabis while undergoing treatment. This is an important study because cannabis is becoming a frequently prescribed treatment, at least for the side effects of traditional cancer treatments, if not for its own cancer cell killing prowess. Researchers found that cannabis use reduced response rate to immunotherapy by a factor of 2 compared to patients who were only given the immunotherapy. Other outcome measures, such as progression-free survival and overall survival were not affected by the use of cannabis concurrently with immunotherapy. An early study, conducted back in the 1970s, may provide some clues to describe this phenomenon. This study suggested that there is an inhibition of cellular mediated immunity in cannabis smokers and that this is caused by THC. 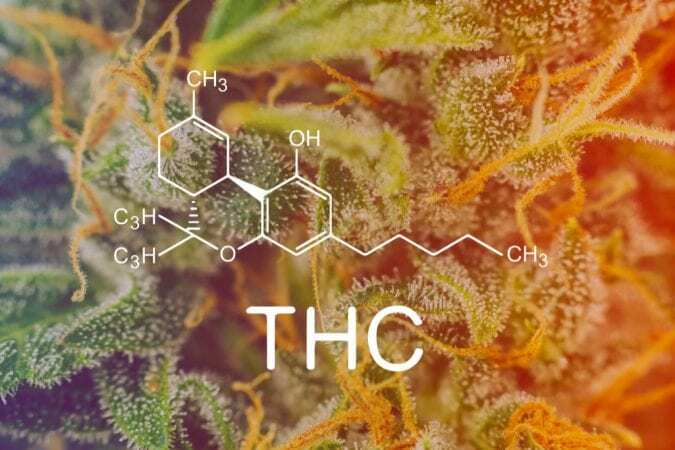 Since THC is insoluble in water, but is soluble in fat, its half-life is several days; it is arguable that because of this, THC may exert cumulative pharmacological effects. Furthermore, when the scientists collected the blood from individuals who consumed cannabis and isolated only the immune cells, they observed that their ability to divide and produce more cells is diminished. This illustrates that immunosuppression induced by THC may arise from the inhibition of DNA synthesis in immune cells, which results in fewer cells produced. More recently, it has been shown that the endocannabinoid system (ECS) acts as a regulator of immune system maintenance in the gut. 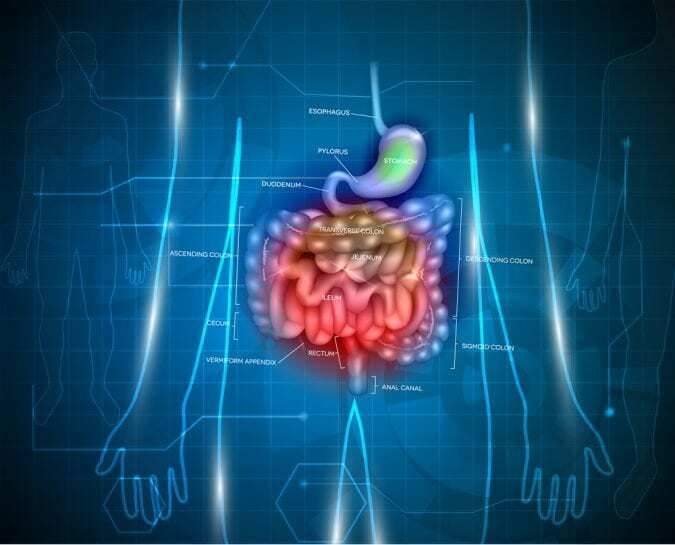 The gastrointestinal system carries the majority of the immune system function, and the ECS has been noted to have a prominent presence in the gut. One of the endocannabinoids, anandamide, which activates the CB2 receptor, has been shown to promote an important shift in the production of immune cells in the gut. 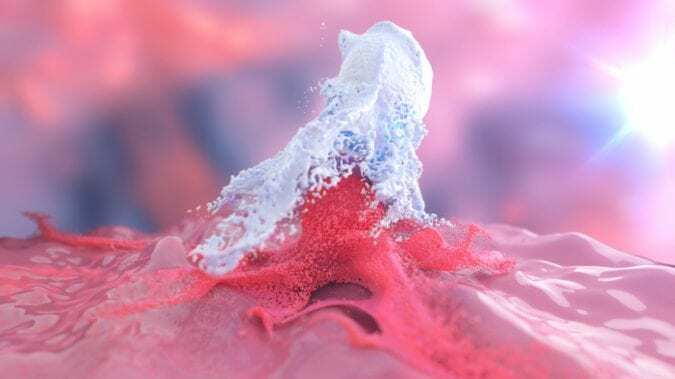 The immune system cells are initially “naïve”, and they become “educated” to perform certain functions depending on the stimuli that the system experiences. One type of immune system cells, called macrophages, can either become immune-reaction promoting, or immunosuppressive. This study found that the engagement of the CB2 receptors increases the number and immune suppressive function of the regulatory macrophages in the gut. Moreover, the gastrointestinal system is equipped with its own nervous system branch, called the enteric nervous system. The involvement of cannabinoids in regulating immune suppression of macrophages described in this study connects the enteric nervous system (which senses both exogenous and endogenous cannabinoids) and immune function regulation. 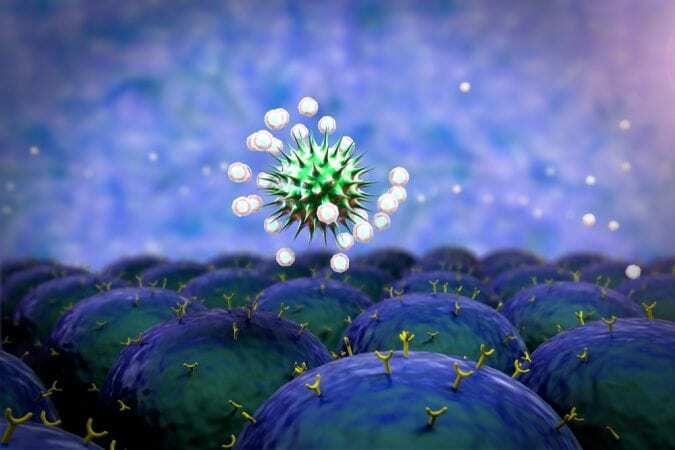 Although the link between cannabis and immune suppression has not been clearly demonstrated, these studies provide crucial evidence that indeed ECS, and by extension, exogenous cannabinoids, allows for communication between the nervous and immune systems. On one side, it is a good thing because maintenance of the immune tolerant environment in the gut is important in order to prevent excessive inflammation and immune system reactions. On the other hand, such as occurs in cancer patients treated with immunotherapy and cannabis concurrently, the interaction between the two may reduce response rate to immunotherapy, as described in the retrospective study described above. Nevertheless, these studies have a bearing on understanding and treating human diseases and have significant implications for public health.